1552 – Ivan the Terrible’s victory over the Tartar Mongols in the besieged city of Kazan came on the feast day of the Intercession of the Virgin Mary. 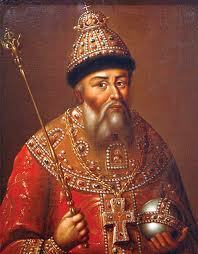 1555 thru 1561 – Ivan the Terrible (Ivan Grozny) ordered the cathedral to be built to commemorate the victory. 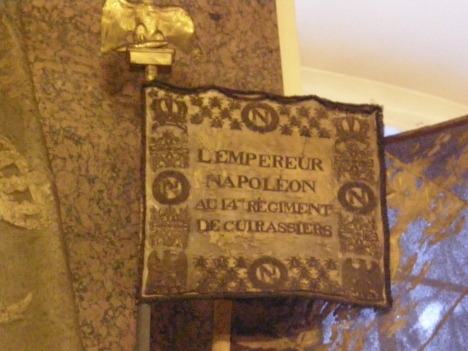 1812 , June – Napoleon invades Russia. 1812, September – The Russians won the Battle of Borodino. Later Napoleon enters an abandoned Moscow. 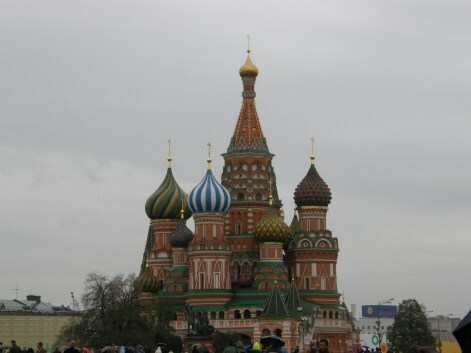 The French army set up explosives to blow up the cathedral but St Basil is spared due to rain. 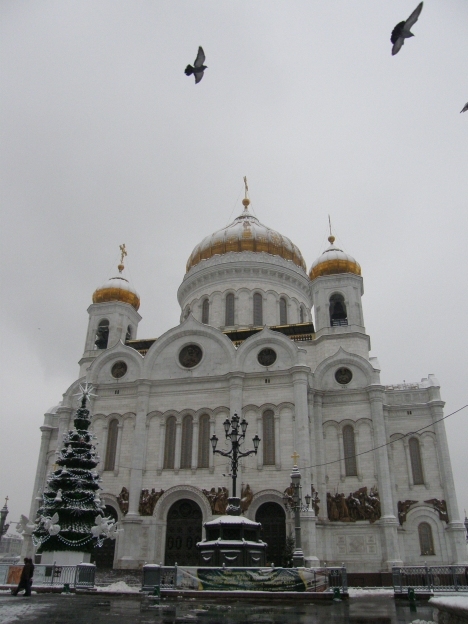 1812 , December – God answered Russia’s prayers with the coldest Winter of the century. Napoleon’s army completely left Russia. Emperor Alexander I ordered “the construction of a magnificent Cathedral in honor of Christ the Savior in Moscow as a thanksgiving to God and to honor the victorious Russian army”. 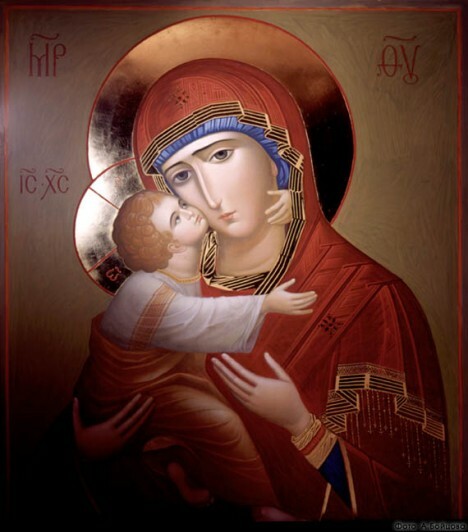 The great Russian military commander, Mikhail Kutuzov, often prayed before the Kazan icon of the Mother of God. 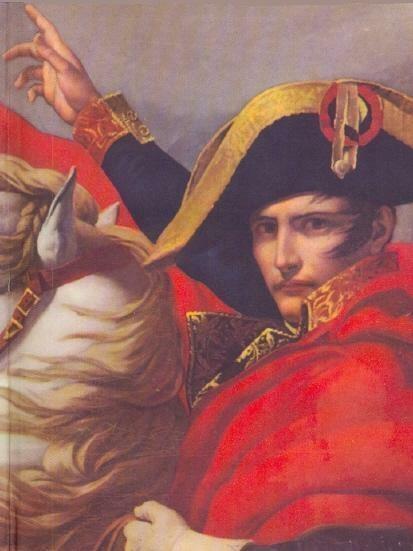 He defeated Napoleon and drove him out. 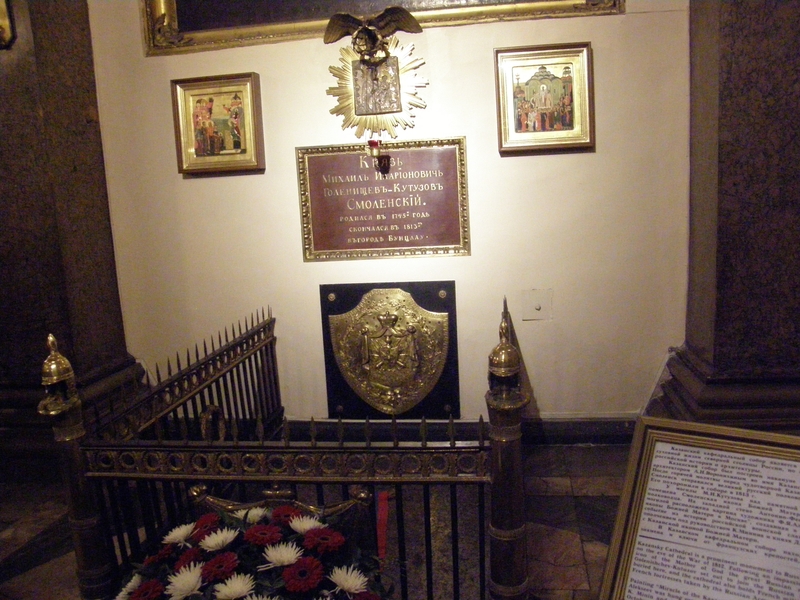 He is buried at the Kazansky Cathedral in St. Petersburg. 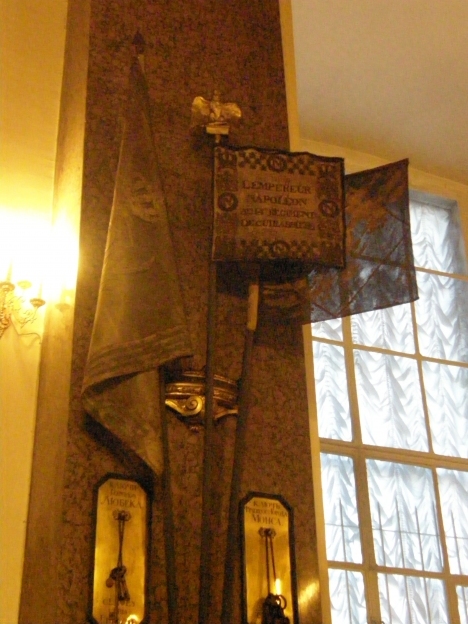 Next to him are the French military standards and keys to the French fortresses taken by the Russian Army. 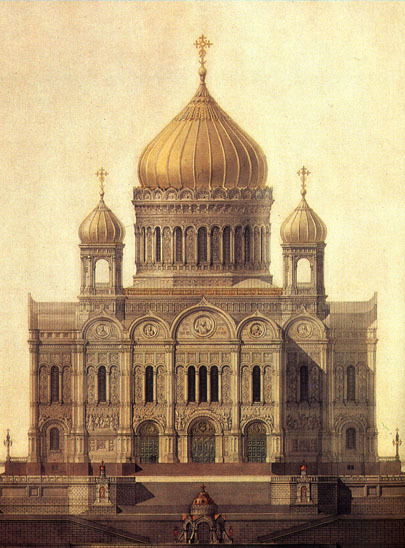 1883, May 26 – The Cathedral of Christ the Savior in Moscow was consecrated and Alexander III was crowned. 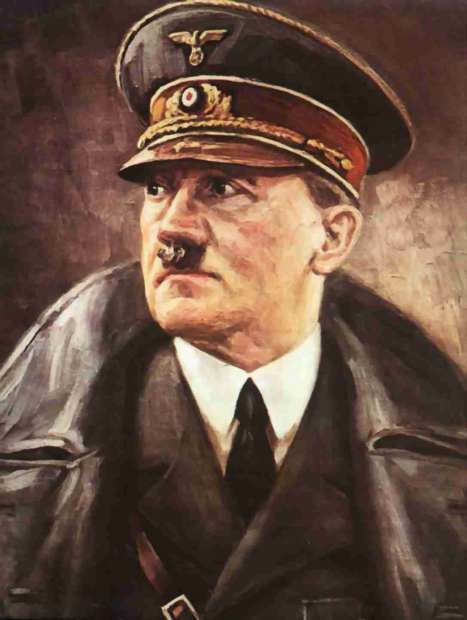 1941 October thru 1942 January- Battle of Moscow – Hitler’s army is stopped 19 miles short of Moscow. This was the first major retreat by the Germans during the war. The Nazis failed due to several reasons: stiff Soviet resistance at Mozhaysk; the coldest winter in Russia’s history; fresh reinforcements from Siberia; the prayers of the faithful. 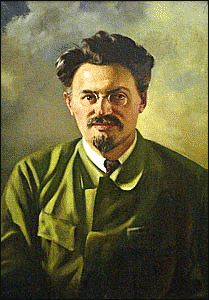 Trotsky, Lenin and the Bolshevik revolution that shook Russia and the world in late 1917 gave birth to the Communist system of government. A Russian Civil War 1917–1921 split Russia dividing it into the Reds, who supported Bolshevism and the Whites who hated it and the evil it is. Chaos and slave labor camps, Gulags, were later created. They promised freedom and equality but only death and misery were the fruits of their tree for almost 75 years. 1922 – Church Property confiscated. 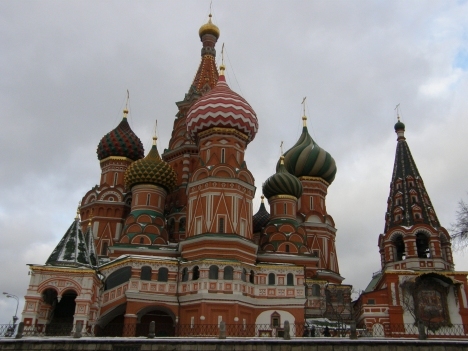 The Soviet authorities launched a campaign to confiscate church valuables. Many churches were destroyed. 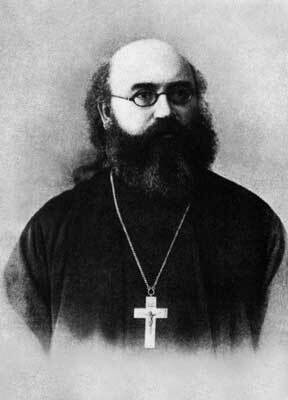 1922, May 26 – Lenin suffers stroke after arresting Bishop. 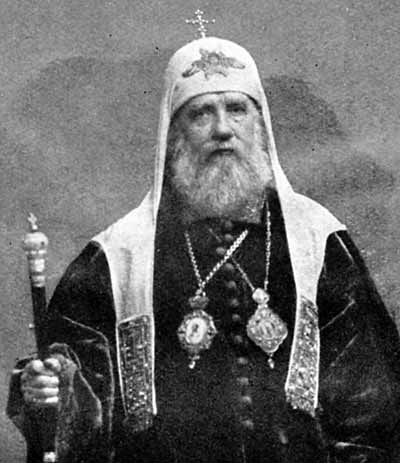 Archbishop Agafangel refused to sign a pledge to the Soviet government. 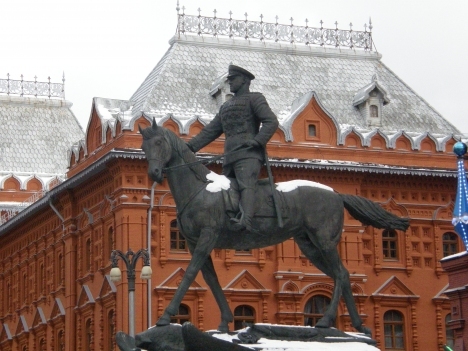 He was arrested and forbidden to leave Yaroslavl. 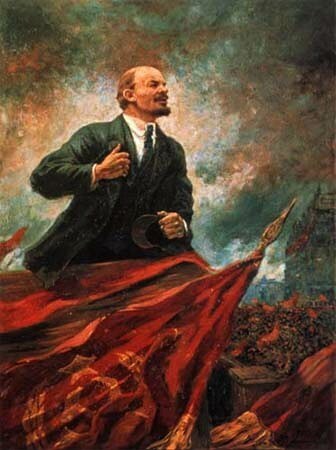 That very day Lenin suffered the first of a series of crippling strokes that was to kill him in less than two years. 1927 – Russian Bishop Ignaty Bryanchaninov , “Whoever does not obtain the kingdom of God within oneself will not recognize the Antichrist and will inevitably, become his follower”. 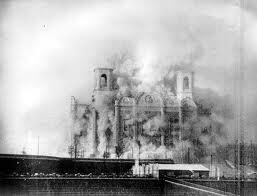 1931, December 5 – The Cathedral of Christ the Savior in Moscow was vandalized and destroyed by the Soviets. A sign of what was to come. As the building fell, so many innocent millions were murdered, swept away. The Four Horseman of the Apocalypse were unleashed. 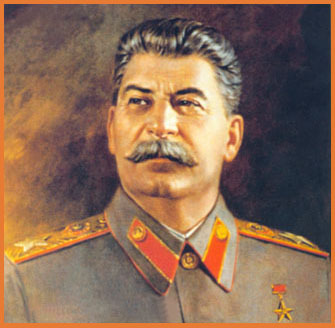 The Red terror continued and slave labor camps were established called “gulags”. The Ukraine was one giant concentration camp, “Holodomor”. 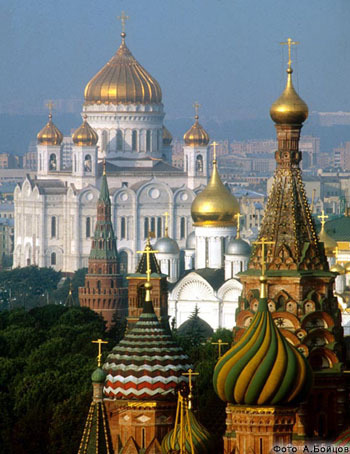 1932 – St. Basil’s Cathedral protected. Stalin ordered St. Basil destroyed and commanded Pyotr Baranovsky to prepare its demolition. 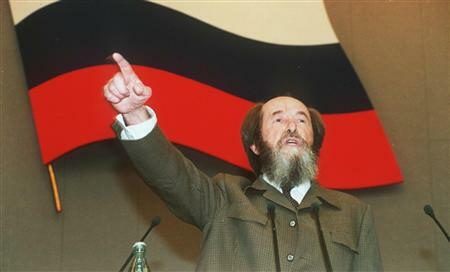 Baranovsky sent the Kremlin a telegram stating he would take his own life if it was destroyed. 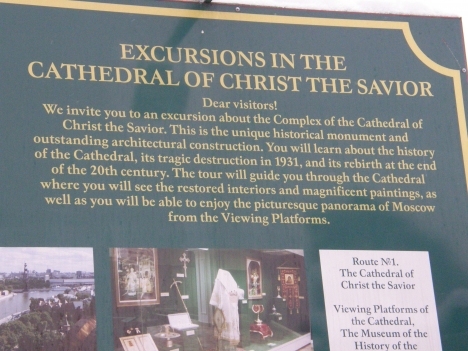 In order to protect many churches he advised they would be useful as museums. 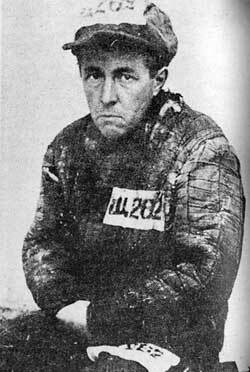 Baranovsky was later sent to the gulag for 5 years. 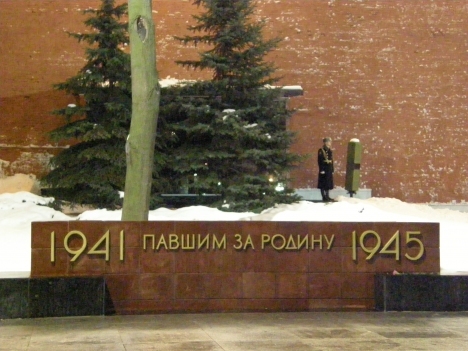 1941, June – a special service was held in the Patriarchal Cathedral (now Epiphany Cathedral) to bless the Russian people in the face of Hitler’s invading army. 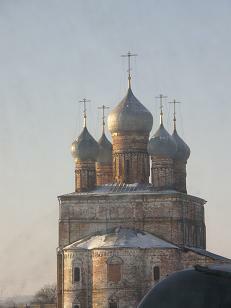 1942 – Russian Church Restored. 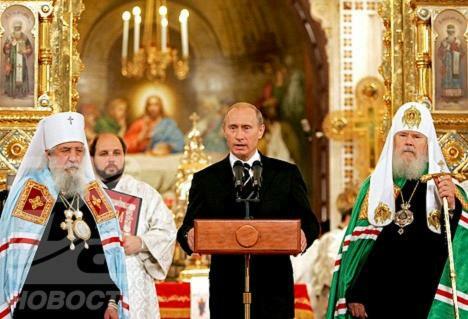 The war had changed the attitude of the atheist rulers towards the Orthodox Church. The war had led to the disappearance of atheistic propaganda imposed on the people. The churches were filled with many people during the war times says priest Mikhail Prokopenko. 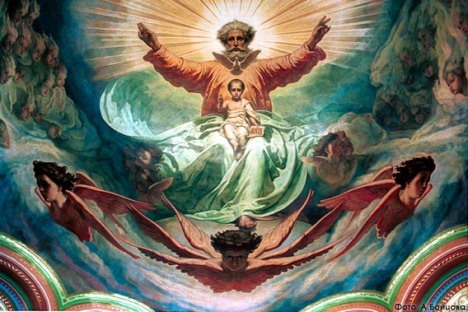 The blood of martyrs is the life-giving seed of Christianity! 1988 – 1000th Christian Anniversary. 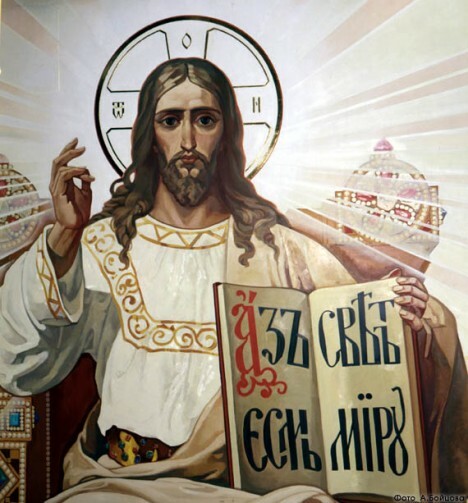 The thousandth anniversary of the conversion of Ukraine and Russia to Christianity. 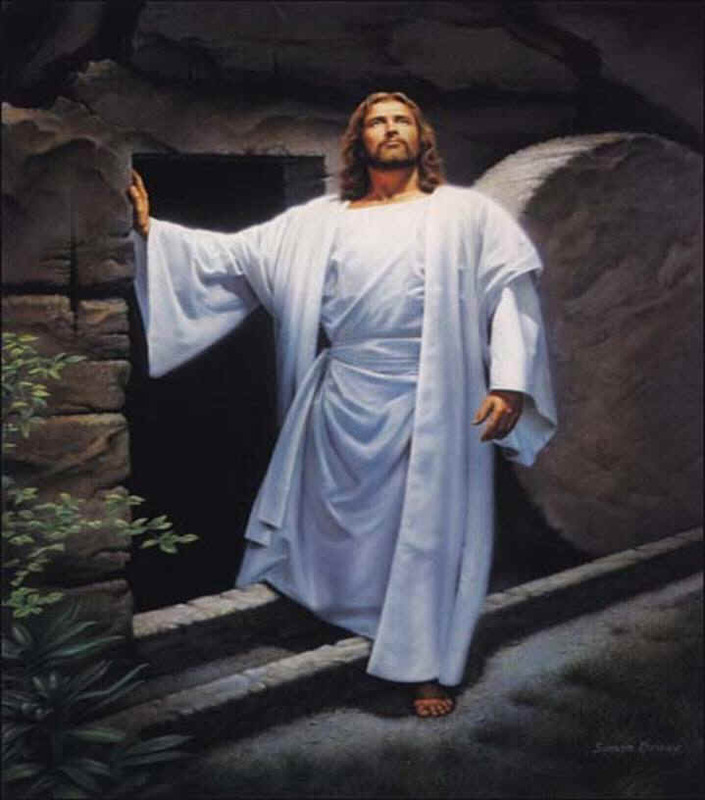 Easter services were broadcast for the first time over Soviet television. Mikhail Gorbachev, the last Soviet leader, met publicly with Patriarch Pimen and other leaders of the Russian Orthodox Church. 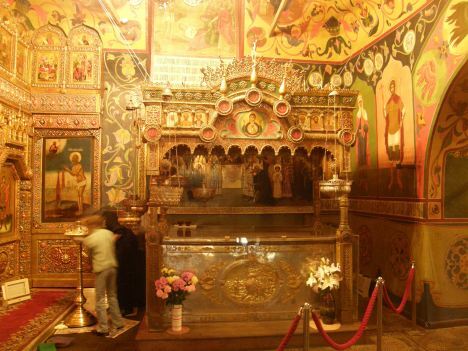 Hundreds of churches were reopened; famous monasteries. 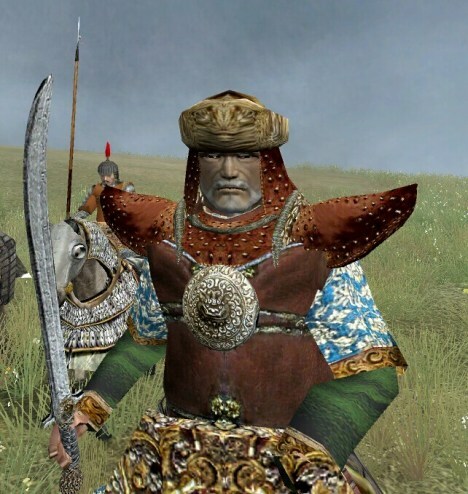 The Faith survived and Communism went down to defeat! These are they who are come out of great tribulation, and have washed their robes, and have made them white in the blood of the Lamb. And God shall wipe away all tears from their eyes: and death shall be no more, nor mourning, nor crying, nor sorrow shall be any more, for the former things are passed away; And I heard a voice from heaven, as the noise of many waters, and as the voice of great thunder; Singing the canticle of Moses and the canticle of the Lamb, saying: Great and wonderful are thy works, O Lord God Almighty; just and true are thy ways, O King of ages. 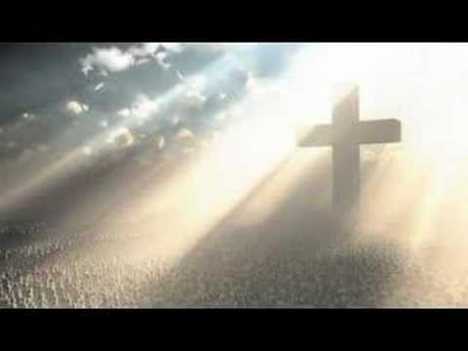 Who shall not fear thee, O Lord, and magnify thy name? 1991, December 25 – Soviet Union Ends , Gorbachev forced to resign. 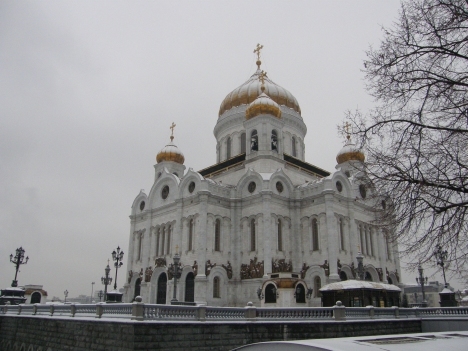 1994 – 2000 – The Cathedral of Christ the Savior was rebuilt in Moscow. 2007, October 27 – Catholic Bishop returns. Moscow, for the first time since the Communist Revolution in 1917, a Catholic bishop was consecrated on Russian soil. 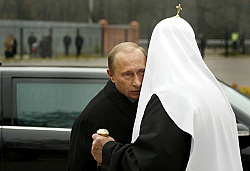 2007, October 30,– Putin visits mass grave in Butova. 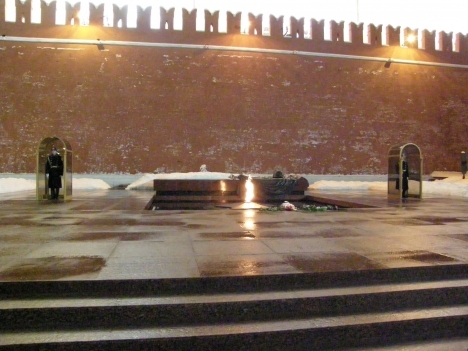 President Putin paid a rare tribute to the victims of Soviet-Era repression. Putin’s visit to a firing range in Butovo, in the south of Moscow, where more than 20,000 people were killed during the peak years of Stalin’s terror in 1937 and 1938, was the first time he has attended ceremonies on the official day of remembrance for the victims of political repression. 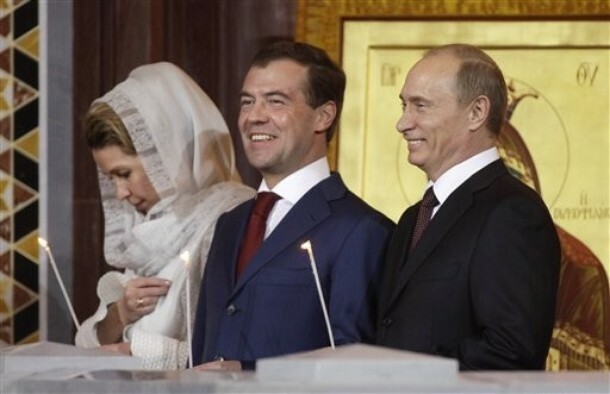 2007, December 17 – “Russian Christmas” in Washington, D.C.. The Moscow Boys’ Choir and a leading Russian orchestra travelled to America to perform an exceptional “world Premiere” concert of Russian Christmas music at the National Shrine of the Immaculate Conception in Washington. Patriarchate of Moscow sent an exhibit to Washington which showed the suffering of believers in Russia under the Soviet regime, and the re-emergence of Christian faith in this country since the end of communism on 1991. The center of the exhibit was an icon of Our Lady of Kazan, riddled with bullet holes. 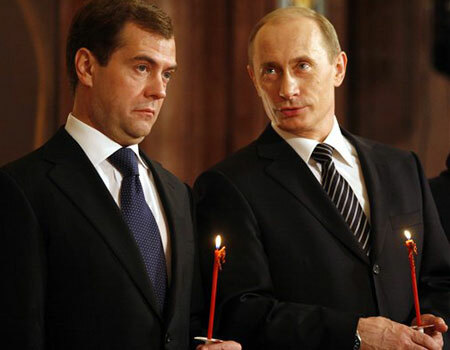 2008, April 27– Russian outgoing President Vladimir Putin, right, and President-elect Dmitry Medvedev hold candles during an Easter service Moscow, Russia.